[Guide] How to Earn the Articuno, Zapdos & Moltres Master Titles in Pokémon: Let’s Go, Pikachu! & Pokémon: Let’s Go, Eevee! In Pokémon: Let’s Go, Pikachu!/Pokémon: Let’s Go, Eevee!, to be the very best, like no one else ever, is not to just become the Champion of Kanto, but to become the Grand Master and the only way to do that, is beat all Master Trainers. How to Earn the Articuno, Zapdos & Moltres Master Titles in Pokémon: Let’s Go, Pikachu! & Pokémon: Let’s Go, Eevee! 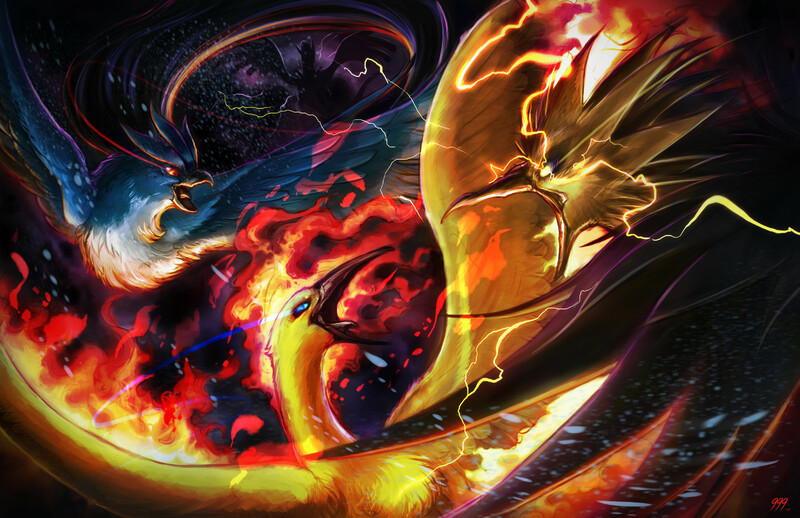 Firstly, in order to become a Master of a specific Pokémon, you will need to have that Pokémon, so if you haven’t caught the likes of Articuno, Zapdos and Moltres yet, you’re going to need to change that. (Head to Seafoam Islands for Articuno, the Power Plant for Zapdos and Victory Road.) If you have caught them though, you can always attempt to catch one in the wild, should you wish to attempt to get one with better IVs and stats. The second step in attaining mastery over them, is to make them become powerful enough to impress their associated Master Trainers. This can be done via intense levelling up, in combination with feeding them with a lot of Candy, since each Legendary Bird Pokémon needs to have 7,500 CP. Upon locating each Master Trainer, you will be required to have the required Pokémon in the top left slot of your party, and no, having them out of their Poké Ball will not help you. Upon meeting the requirements of each Master Trainer, a short one-sided discussion will take place and when it is over, you will be bequeathed the title associated with each Master Trainer. For the sake of clarity, it is not required to have all three Legendary Bird Pokémon at 7,500 CP. So, although you can train all three of them together and then go see each Master in the same day, you can always focus on one bird at a time and ear their title before moving on to the next one.